Low loader car transporter trailer with winch to carry vehicles from racing caterham to mercedes E class. Tilting low loader car transporter trailer with winch to carry any vehicle from a classic mini to a range rover. Plant trailer with built-in bucket rest & full width ramp for mini-diggers. Also used for transporting 3 wheel vintage cars, quads, ride-on mowers & motorbikes with sidecars. Can also be hired as an open trailer without cage. Professional front wheel clamp attached to solid bed with full width ramp. Can be towed by drivers who do not have 'BE' licence. 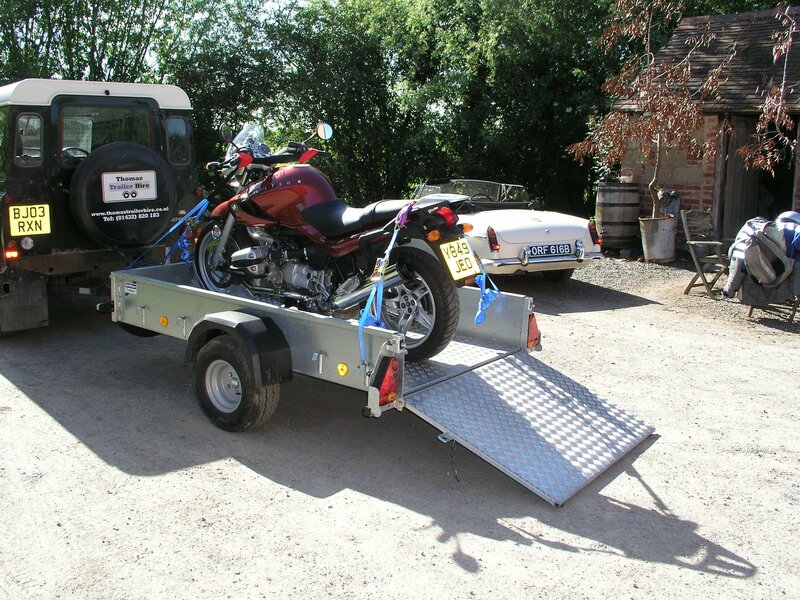 Other trailer options are available for larger motorbikes & those with sidecars. Versatile enclosed box trailers with combination full ramp/van doors at rear & interior shoring poles. 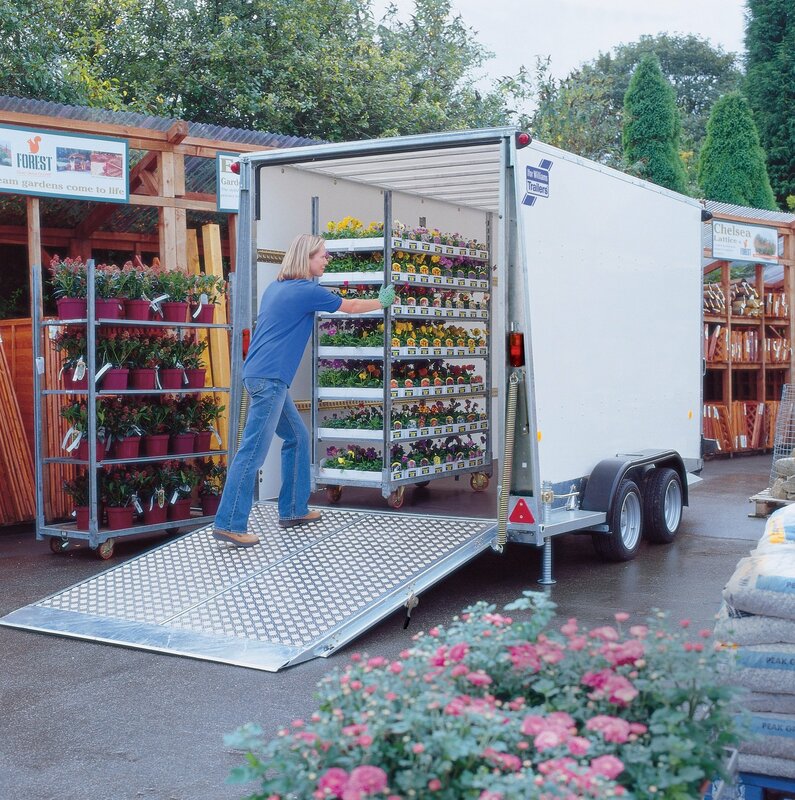 Ideal for trade exhibitions to moving furniture. Can be used for trailer driving test. Ideal camping trailer. Also has roof rack for additional carrying capacity. Rear van doors. Can be towed without 'BE' licence. Ideal for smallholder transporting sheep, pigs, calves etc. Comes with gates & internal divider. Disinfected before & after every hire with DEFRA approved product. 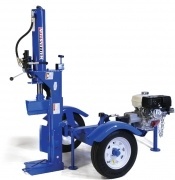 Towable powerful professional hydraulic logsplitter. Can be used in vertical or horizontal position. Business, public sector & private customers welcome. We are happy to answer enquiries by e.mail but bookings can only be made by telephone. 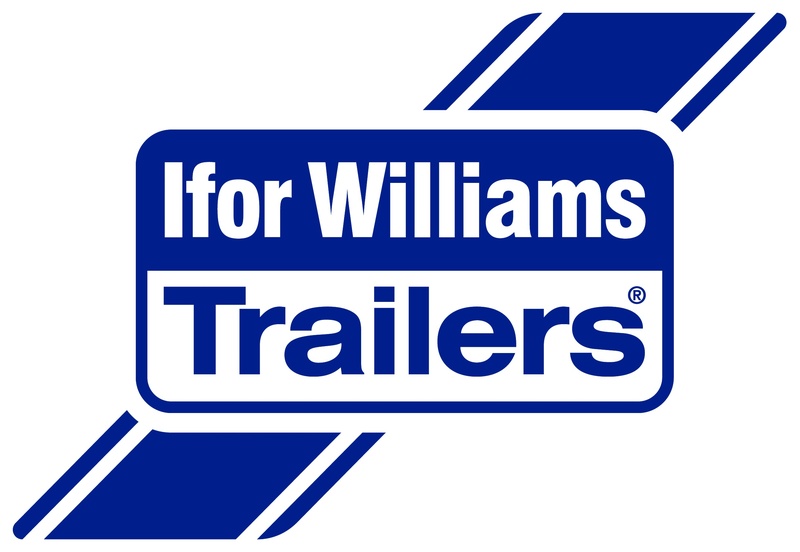 We need details of the load & the tow vehicle to recommend the most suitable trailer. And the exact dates you need the hire to start & end. A delivery/collection service is available for an additional fee but must be arranged at the time of booking. To book you will need to pay the full hire fee by credit/debit card or BACS. The trailer is then reserved for you & no refund can be given if you cancel. Load securing straps, security wheel clamp, chain, padlocks, & insurance are all included in the hire price. VAT is not applicable. We are always happy to help & advise you.